If you’re a man of a certain age, you’re probably familiar with your PSA score. PSA stands for prostate-specific antigen, a marker for prostate cancer. Many men, along with their doctors, actively look for ways to keep a lid on PSA levels. Now, a clinical trial shows that lowering levels might be as easy as drinking a glass of pomegranate juice. Several studies have linked a diet high in plant-derived polyphenols—the deeply colored antioxidants in many fruits and vegetables—with a lower risk of developing cancer, including prostate cancer. Because the blood-red juice of pomegranates is especially rich in these compounds, researchers at the David Geffen School of Medicine at the University of California, Los Angeles decided to test it against prostate cancer that had spread beyond the gland—a condition known as metastatic cancer. The 46 men who participated in the study had had their prostate removed or destroyed, along with their tumors, by radiation. Any residual cancer was being monitored by checking their PSA levels. Because PSA is made by prostate cells as a metric of prostate gland activity, and because these men no longer had intact prostates, the presence of PSA indicated that cancerous prostate cells continued to exist somewhere in the men’s bodies. The UCLA team calculated that the men’s average doubling time in PSA concentrations—a rough gauge of cancer growth—was 15 months. But after the men began drinking an 8-ounce glass of pomegranate juice each day, the average doubling time more than tripled to 54 months. In nearly one-third of men, their PSA levels actually fell! What’s more, the men’s blood also tended to be less vulnerable to oxidation—a chemical reaction that can damage cells—once they started sipping pomegranate juice. This isn’t the first study to explore the benefits of pomegranates, but it is the first to use real men. Last fall, researchers at the University of Wisconsin–Madison reported that pomegranate extract had anti-cancer properties in lab studies. They combined cells from an aggressive form of prostate cancer with pomegranate-fruit extract. The higher the concentration of the extract, the greater the inhibition of the cancer cells’ growth. The researchers also injected human–prostate-cancer cells into lab mice. The cells grew into tumors, but the rate was reduced in animals fed pomegranate extract. The team confirmed the extract’s effect by measuring PSA concentrations in the animals’ blood. If you have a high risk of prostate cancer, or if you already suffer from the disease, think seriously about trading in your morning orange juice for a glass of ruby red pomegranate. As a bonus, the powerful antioxidants in pomegranate can also benefit heart health, boost your immunity and may even protect against Alzheimer’s disease. Just make sure to choose an unsweetened juice without additives or artificial ingredients. 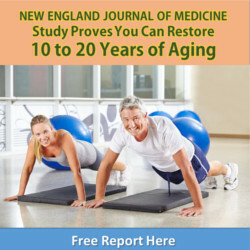 Want to increase your prostate health even more? Begin by adding foods rich in Vitamin D to your daily diet or begin vitamin D supplementation. Epidemiological studies have shown that there is a link between increased PSA levels and a deficiency in vitamin D. Better yet, emerging research shows that vitamin D can actually reduce prostate cancer cells. What if you don’t like the taste of pomegranate juice? Try pomegranate extract in capsule form. Look for a supplement made from a whole-food source and take 500 to 1,000 mg. daily. It’s an easy way to do something nice for your overall health—and especially your prostate. Bell C. Ellagic acid, pomegranate and prostate cancer — a mini review. Journal of Pharmacy and Pharmacology. 2008;60(2):139-144. Malik A. Pomegranate fruit juice for chemoprevention and chemotherapy of prostate cancer. Proceedings of the National Academy of Sciences USA. 2005;102(41):14813-14818. Is There A Hole In Your Prostate Formula? This entry was posted in Men's Health and tagged antioxidants, prostate problems, psa and pomegranate on January 1, 2011 by Advanced Natural Wellness. A good rule of thumb: Fresher is always better. We recommend making your own fresh juice, using organic fruits and vegetables rather than buying a store-bought or manufactured juice.